I'm getting ready for a card workshop featuring the Huntington Level 2 papers, so here is my first card. Although I love the fall theme of these papers, my card workshop gals wanted all-occasion cards, so I'm kicking things off with a Thinking of You card that utilizes a fun sketch from Retro Sketches. Hope you like! I am hosting the new Stash Busters challenge over at Splitcoast Stampers for anyone who has tons more scrapbooking supplies than she could use in the next 10 years - LOL! I would love to have you create a layout using the listed items and then link up at SCS using the link below. If you are anything like me, you have tons of older product stashed away in corners of your scrapping area, gathering cobwebs while you concentrate on newer items. 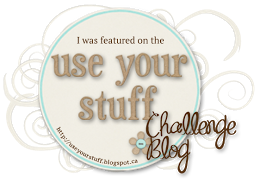 This month, I am challenging you to use up certain items from your stash. I'll post a new list each Thursday this month (except the 31st), and you have until the last day of the month to scrap your layouts using the products. 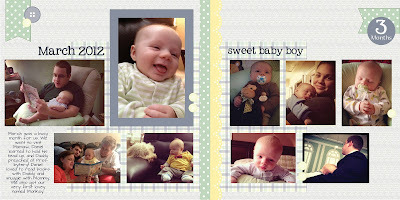 If you complete all four layouts, you will get an honorable mention for the month! Sound fun? Let's get started. Find a layout that you completed at least a year previously but never put pictures on, and get some pictures printed and onto the layout! You can use additional products, but you must use at least one of each of the items listed. If you don't have an item in your stash, please don't rush out and buy it! Just substitute a similar item from your stash. Happy hunting! I went with Option 2 for my layout and used an incomplete layout that I've had in my stash for several years. Woohoo! 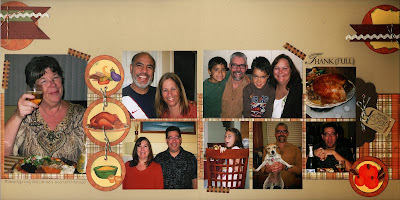 In case you missed it last week, I am hosting a new challenge over at Splitcoast Stampers! It's called Stash Busters, and it's for anyone who has tons more scrapbooking supplies than she could use in the next 10 years - LOL! I would love to have you create a layout using the listed items and then link up at SCS using the link below. If you are anything like me, you have tons of older product stashed away in corners of your scrapping area, gathering cobwebs while you concentrate on newer items. Wouldn't it be nice to bust it out and use it up instead of storing it? Well, Stash Busters to the rescue! 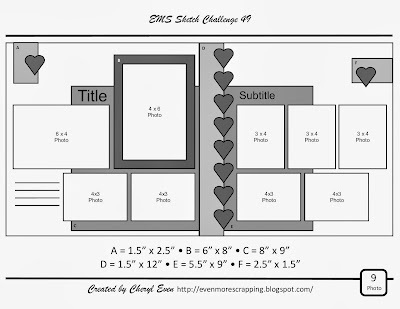 This month, I am challenging you to use up certain items from your stash and then link your completed layout here so we can all get excited over it! I'll post a new list each Thursday this month (except the 31st), and you have until the last day of the month to scrap your layouts using the products. If you complete all four layouts, you will get an honorable mention for the month! Sound fun? Let's get started. Once again, we had some great layouts for the sketch challenge, and I had a hard time picking just one, so here are the winners for the September sketch challenge. 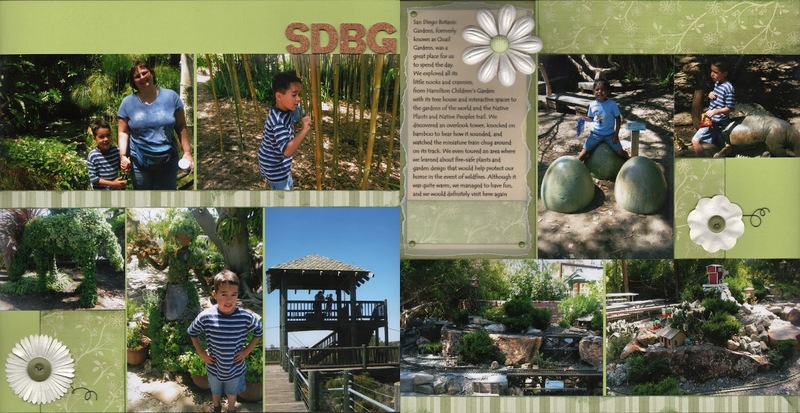 First up, give a hand for Tanya, whose digi-page really demonstrated how to keep the focus on her sweet back-to-school photos. Joyce Ann really wowed me with her lovely color combination and her creativity; can you believe she used an oven rack to create the lines on her pink paper?! Tanya and Joyce Ann, I would like to invite both of you to be guest designers for next month's sketch, so please contact me to get the details. Thanks to all who participated this month! Don't forget to check out this month's sketch and post a link to your interpretation of it by October 31st for your chance to be featured. 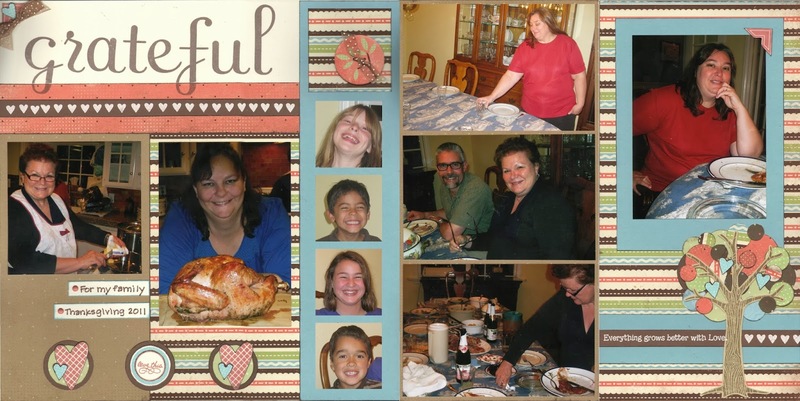 I'm slowly getting caught up in my scrapping; this layout brings me to Thanksgiving 2011, so hopefully I can finish the rest of 2011 this month and forge ahead to 2012. Wish me luck! I'm still on my quest to use up older products, so I pulled out some old CM stickers and discontinued CTMH papers and combined them with my newer fibers and some shapes cut on my Cricut. One fun thing I discovered while creating this layout is how to trim stickers to look like Washi tape. Now I have two ways to make my own Washi tape! In case you are wondering but can't read the journaling on my layout, the title stands for San Diego Botanic Gardens. I wanted to use my cork letter stickers but the whole name would not fit, so I took the easy way out! Anyway, here is a second layout for the new Stash Busters challenge for Splitcoast Stampers, and I combined it with the Color Dare from Color My Heart. The challenge this week is to use 2 patterned papers that are over a year old, picture or letter stickers, wire or metal, and vellum. I'm having a great time getting rid of stuff from my stash. If you want to play, visit the Stash Busters challenge at SCS. Today, I am so excited to share with you a new challenge I am hosting over at Splitcoast Stampers! It's called Stash Busters, and it's for anyone who has tons more scrapbooking supplies than she could use in the next 10 years - LOL! I would love to have you create a layout using the listed items and then link up at SCS using the link below. If you are anything like me, you have tons of older product stashed away in corners of your scrapping area, gathering cobwebs while you concentrate on newer items. Wouldn't it be nice to bust it out and use it up instead of storing it? Well, Stash Busters to the rescue! This month, I'll post a new list of stash items each Thursday (except the 31st), and you have until the last day of the month to scrap your layouts using the products. 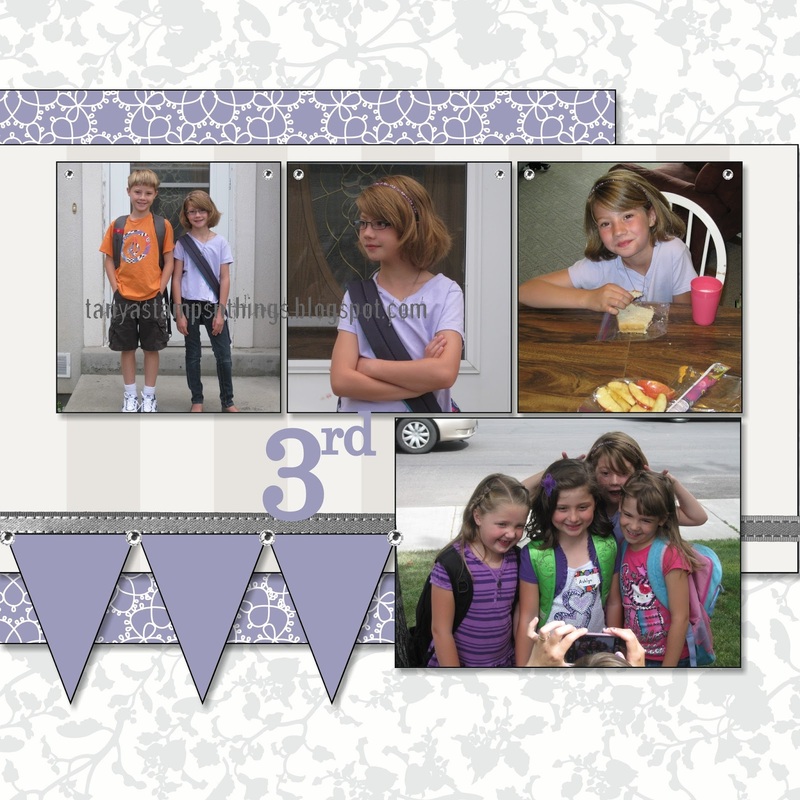 If you complete all four layouts, you will get an honorable mention for the month! Sound fun? Let's get started. I had fun diving into my stash, and I was fortunate enough to find an old SEI kit that worked well with my layout, and then I added some vellum that's been in my stash since 2001, the stone stickers and CM quote, and chocolate brads. 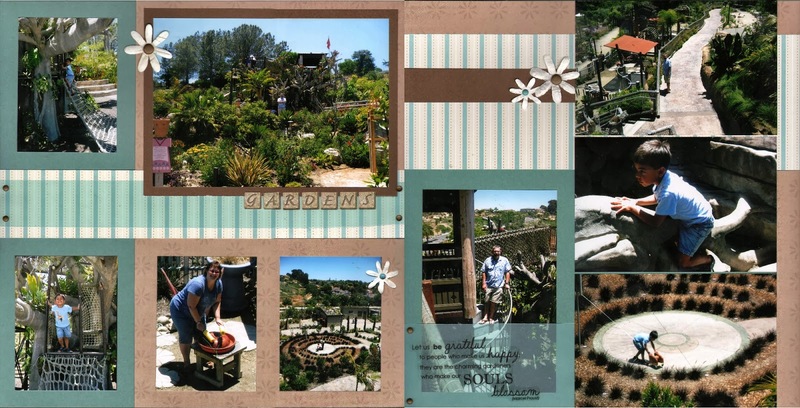 It's time for another sketch challenge, and today we have guest designers Marg and Michelle, our featured scrappers for August, providing layouts for the sketch! 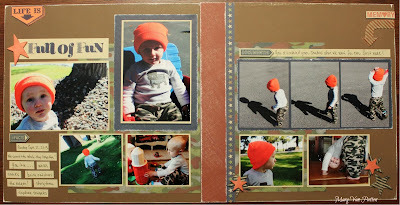 This month's sketch is a double pager with some heart elements and lots of smaller photos. Get creative with it, change what you need, and please share what you come up with. You have until October 31st to post your version and link it to this post. I will choose one scrapper's layout to be featured on my blog on November 5th, and that person will be invited to be a guest designer for the following month's sketch. 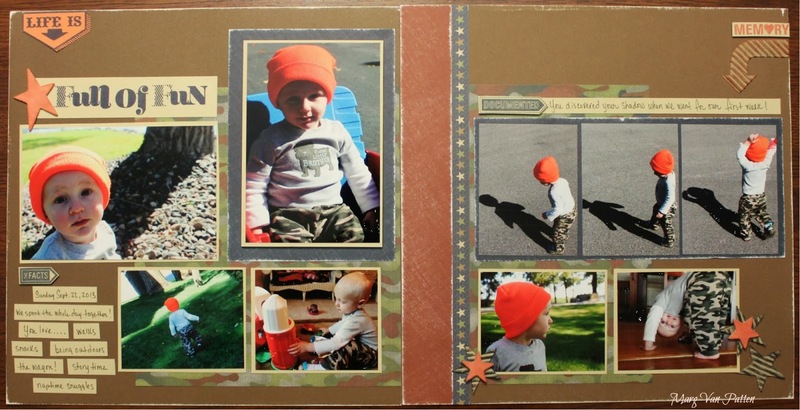 Marg replaced the hearts with some stars and created this "full of fun" layout! You can be inspired by Marg's creative genius at her blog, I Didn't Have Potatoes. Michelle's digital take on the sketch features clean lines and minimal embellishments that keep the focus on her adorable photos. Visit Michelle's blog, The Paper Vine, to be inspired by her layouts and awesome DIY crafts. 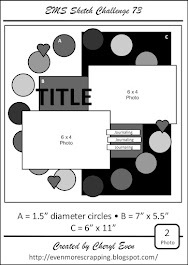 Please link your completed layout here by 10/31/13 at 11:59 pm PST!